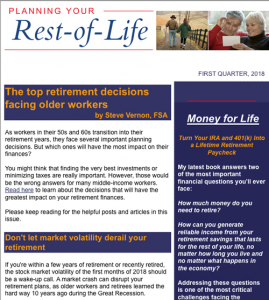 Steve’s monthly email newsletter inspires and informs you with the latest insights and strategies for planning your retirement years. The best news? It’s free! Please solve the math problem above. This is one of the best explanations that I’ve seen about making your money last for life. You are an excellent communicator. I think that everyone should read your newsletters and stop reading the newspapers. That would bring about a wonderful change!